Back for another edition of Quick and Dirty Mini-Reviews! I fell into a huge blogging slump with less than zero motivation so here's a few highlights of some of my favorite reads over the past few months...and longer...Enjoy! The Opposite of Love is one of Hannah's all-time favorite books and I knew at one point I had to give it a try...and I was SO happy I did! I loved this book. There are so many quiet elements to this book that had me thinking about it long after I shut the final page. At it's core, it truly is the making of a family. I loved reading about Emily's journey to the family she's always wanted and felt like she'd been missing. I adored her relationship with her grandfather. I loved that she was imperfect and had flaws and struggled to figure out what she wanted in life. I loved that it was about family. This book was a slow delve in Emily's life and being in her head and living her story was a fantastic journey. It's one of those beautiful books that doesn't shout at you to listen, it sits back and lets you absorb it's message slowly and long after the final page is turned. I was thinking about this book and certain moments from it for days after reading it. If you're looking for a story about family that takes a roundabout way to get there but is beautiful in its quiet moments...this book is for you. 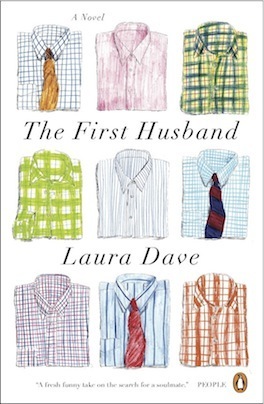 The First Husband was a book I didn't expect to love as much as I did. 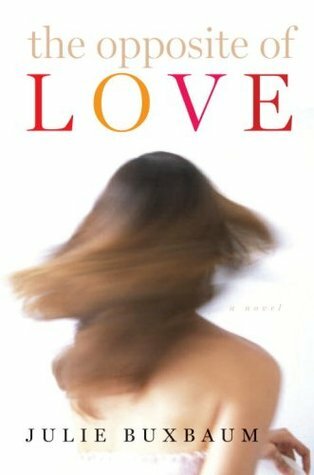 It was quick read that picks up immediately after the heroine, Annie, gets dumped by her longterm boyfriend and falls head over heels for a chef that she quickly marries. I'm gonna be honest, while I felt a little disconnected from the romance, the overall sentiment really was a win for me. I loved the heroine’s (and author’s) insightful words about traveling and the reasons why we do it. The thought-provoking moments Tegan reflects upon while traveling felt like they were meant for me. The idea that you can travel to escape and trick yourself into believing that was your everyday life hit so close to home. But more than anything, I loved that discussion on choosing somebody every day even when it’s hard. Making somebody your choice day after day is a commitment that is beautiful and hard, vulnerable and honest. If you're looking for a quick yet insightful read...this book is for you. 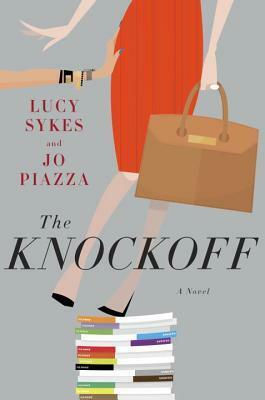 The Knockoff was the surprise This book was such a surprise love that it's very hard to articulate WHY I loved it so much except that I did...love it...every second of it. There are books that you can't turn the pages fast enough because you just can't wait to find out the ending and that is so exciting! And, for me, there are a few rare books that you just fall leisurely into and just enjoy reading the story without feeling rushed or over excited or impulsive--and I say all of these things in the most positive way--and this was one of those books. Imogen's story was full of interesting characters, complex work dynamics, and truly evil villains. The commentary on technology in life and work and all the moments in between was brilliant. The characterization of Imogen was incredible. I LOVED her! SO many positive things to say about this book, I just fell in love with everything about it and everything just worked for me! I loved Imogen so much I want to be her friends in real life. It was so refreshing to read about a heroine who is inherently kind, takes the high road every time, and still comes out on top. If you're looking for a satire on technology and fashion, and a heroine who you can't help but root for because she is everything classy and fabulous...this book is for you. 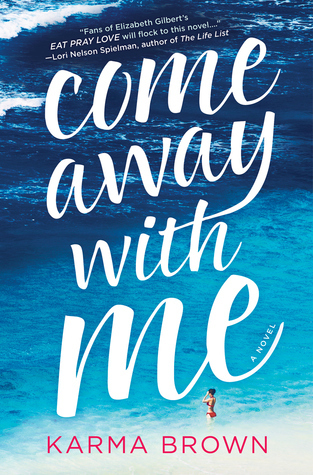 Come Away With Me was an emotional read and I knew going into this book I was in for some feels, I just didn’t know how many. This book had beautiful moments of healing and vulnerability interlaced with traveling far away to find yourself again. 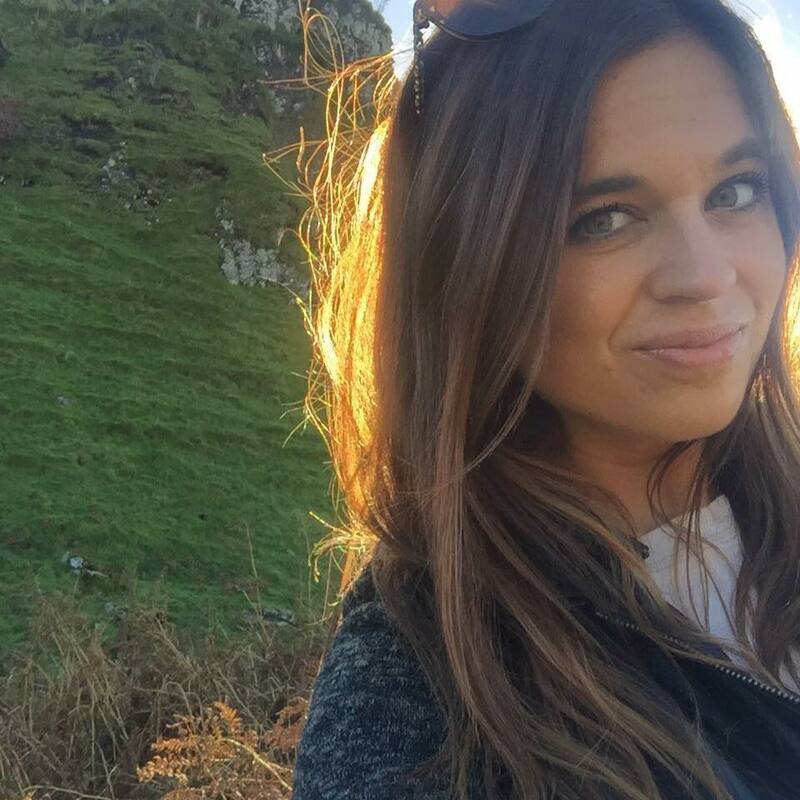 I obviously loved the travel aspect because it made so much sense to me when faced with tragedy. Y’all, I legit cried throughout most of this book but don’t let that deter you. It’s beautiful, heart-breaking, poignant, and honest. Tegan's journey to heal was emotional but honest. If you’re looking for a book to get lost in, emotions to work though, or just a really good cry...this book is for you. 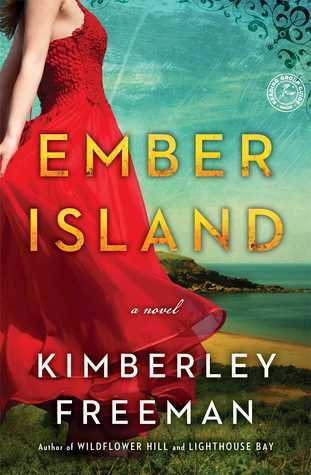 Ember Island was gifted to me by Hannah after one of her culls. I read Kimberly Freeman's other novel, Wildflower Hill, because of her and I loved it. Historical fiction set in Australia is hard to come by plus dual timeline and I'm sold. Like Wildflower Hill, the backdrop of an Australian island was breathtaking to read about. The setting was incredible, the historical component of a jail on an island and it's inhabitants was enthralling. I loved the subtle romance, I loved the daughter of the warden, I loved it all. It was about atoning for sins and making mistakes and I loved every second of reading this. The contemporary component was equally compelling as it was about an author who inherits this same house on the island and is trying to write her next novel. I love reading about author's and their writing. It's one of my reading quirks. If you're looking for some unique historical fiction settings, this book is for you. 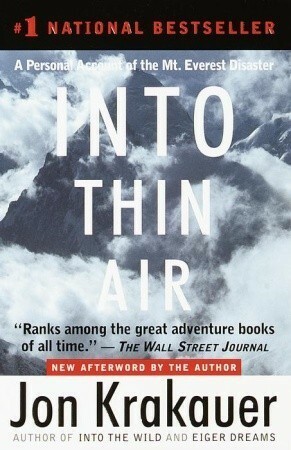 Into Thin Air is a book I am embarrassed to say I've never read. Somehow I skipped that class in high school when it was required reading. Regardless, I'm fascinated by Everest, mountain climbing, pushing one's body to the limits to achieve a goal, and the firsthand account of the 1996 disaster of Everest was something I couldn't pass up and FINALLY just checked out from the library. They say hindsight is 20/20 and that can't possibly be more true than this situation. There were so many hints, circumstances, near misses that could have been avoided but alas, hindsight is forever 20/20. Jon Krakauer's account was fascinating to read about. I love reading about the everyday on the mountain, the process of acclimatizing to the brutal altitude, what it was really like on the mountain and what really happened on that fateful day in May. I am by no means a 'climber,' but I do like to push myself for attainable goals, i.e. Macchu Piccu and Kilimanjaro, so my very minimal point of reference only added to my reading experience. If you're looking for a quick, readable, and fascinating non-fiction about the world's highest mountain, this book is for you. The Duchess Deal was on my radar because I LOVE Tessa Dare's other historical romance novels. This book was no exception. Complete with a sassy heroine who wants nothing more than to be independent and not rely on a man for her success and a wounded, scarred and broken hero who really just needs to be loved, The Duchess Deal was Tessa Dare hitting the mark. Emma is a wedding dress designer and I LOVED that she had a profession that she was good at! I loved reading about her making dressing and knowing fashion, it's another quirks of mine. Ashbury was involved with the war and came back scarred and broken. His previous fiance was awful and left him so *le sigh* Emma has to show him he's worthy of love. If that doesn't make you want to read this book, I don't know how to help you. If you love Beauty and the Beast vibes, snarky heroine, and scarred heroes, this book is for you. I loved The Duchess Deal! It made me laugh out loud a few times, which doesn't happen to me very often with books.